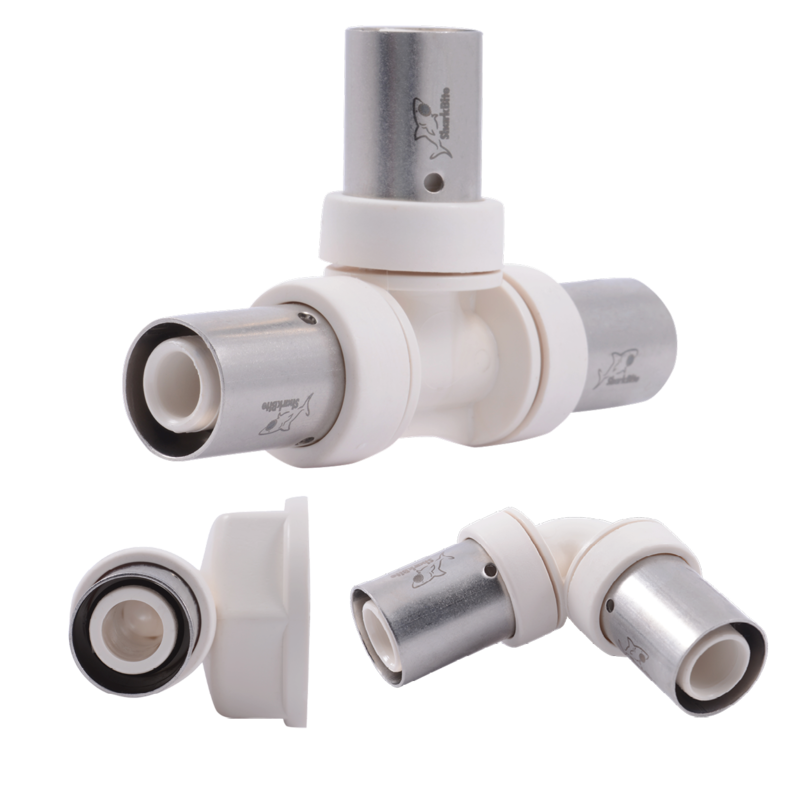 SharkBite PRESS is a Press Fitting system for plumbing and heating professionals. Our Press Fitting System is recommended for newly-built housing and for remodelling / repairs, providing security and quick assembly. Universal system compatible with PEX (Cross-lined Polyethylene Pipe), PERT and MULTILAYER pipes. Made of PPSU (Polyphenylsulfone) – BSP threads. Valid pressing profiles: U, RF and TH. 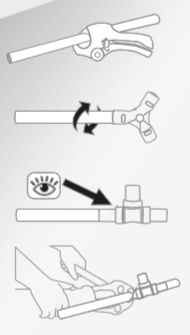 4. visually check through the inspection window to ensure that the pipe is fully home. 5. Operate pressing tool until it pulls back.